The snowmobile is essential for us who live here and it can be of great help for you who are heading up the mountains. 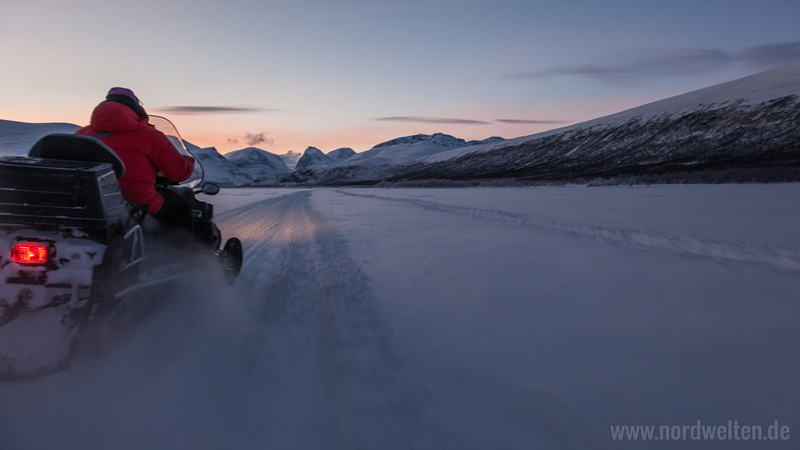 The snowmobile transfers you book with us Nikkaluokta Alltransport are also a security factor for you when heading into the mountains. We will take you there – just contact us. Daily departures during winter season. Please get updated information from the reception at Nikkaluokta or Kebnekaise! Price: 360 SEK/person one way with luggage. Reservate a seat by email, give us a call or do a preliminary booking online: “Preliminary booking of transportation” Ticket is paid at receptiondesk. Please note! Tours can be cancelled due to extremely bad weather. 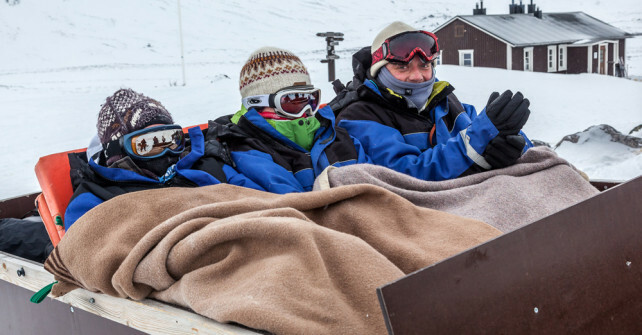 You will be warm and comfortable under blankets and can borrow a thermo-overall for this open sled ride. After about 1 hour in open terrain we reach the station. This 100 years old station is a well visited alpine center with an atmosphere of its own. Enjoy something in the cafeteria or a meal in the restaurant before we head back to Nikkaluokta. 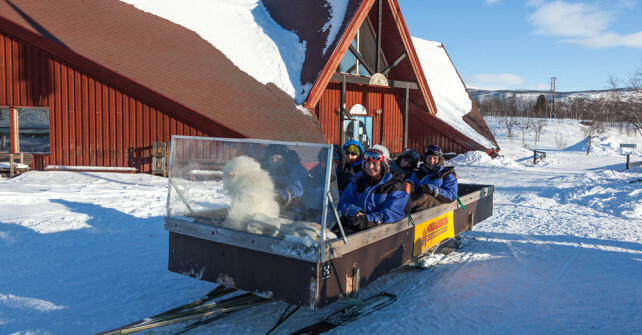 Nikkaluokta Alltransport can take people and goods to the STFcabins in the area. You can book transport to “Lisas stuga” and to the STF-cabins (open to hikers) in Vistas, Singi, Sälka, Nallu, Tarfala and Kaitum. We can get you there but also take you here to Nikkaluokta. Luggage and skis will be no problem in our large sleds. You will be sitting on a cushion and have a warm blanket around you. These tours have to be booked in advance and we always try to coordinate them with others that need our service. More information is available at the reception, by e-mail and telephone. Tours may be cancelled or change departuretime due to extremely bad weather.